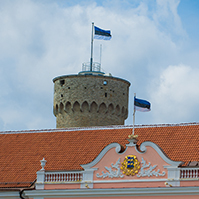 On Wednesday, the Riigikogu passed an Act concerning changes relating to taxation and discussed the report on Estonia’s participation in the European Stability Mechanism, submitted by the Government. 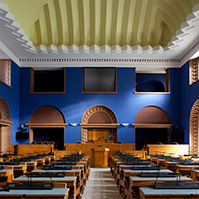 The Riigikogu passed with 70 votes in favour the Act on Amendments to the Taxation Act and Amendments to Other Associated Acts (507 SE), initiated by the Government. Different provisions of the Act enter into force gradually, on 1 February, 1 April and 1 July this year. The aim of the amendments is to improve the quality of and harmonise the administration of the financial claims of the state arising from judicial proceedings and judgments of the Prosecutor’s Office. Also, to save the accompanying costs. The keeping of records on claims arising from judicial proceedings administered by the State Shared Service Centre and from judgments of the Supreme Court and the Prosecutor’s Office is transferred to the register of taxable persons. A separate bank account is created or a special reference number is given for payment of claims of courts and prosecutors’ offices. Overdue claims are covered from amounts transferred to the prepayment account if funds are available. Besides pooling the claims by the state, e-Tax Board gives people the possibility to see, in addition to tax liabilities, also other obligations, for example the information concerning the payment of state fees. In the Taxation Act, the right of the Tax and Customs Board to collect monetary obligations arising from the Taxation Act and fines imposed by agencies on the basis of any Act was specified. The administrative enforcement competence of the tax authority is confined to initial enforcement acts – it does not have the right to realise assets. The Act also organises the regulation concerning the initial seizure of property and, with the Code of Enforcement Procedure, grants bailiffs the authority to execute an administrative court ruling on imposing an initial seizure of property in cases when the enforcement acts performed by the tax authority have not yielded any results or in all probability will not yield any results. The amendments to the Bailiffs Act allow bailiffs to also charge a fee for an act. 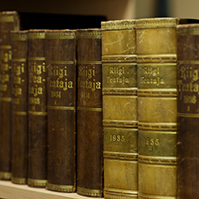 The Riigikogu eliminated from the Taxation Act the restriction on filing an appeal against a ruling on imposing an initial seizure of property. This allows a person not subject to proceedings whose rights the imposition of an initial seizure of property may concern but who is not a taxable person, such as the spouse, to exercise the right of appeal. As the second item on the agenda, the Riigikogu discussed the report on Estonia’s participation in the European Stability Mechanism (ESM). The Minister of Finance Jürgen Ligi gave to the Riigikogu an overview as to the amount of the contributions made to the ESM, which countries have been financed from the ESM and to what extent, and what results it has yielded over the period of slightly more than one year. Of the ESM’s 700 billion euro capital, 80 billion is to be contributed, of which in turn Estonia’s share is 148.8 million euro. Four fifths of it has been contributed by now, and the final instalment will be made in April 2014. Then the ESM will also achieve its maximum functionality which amounts to 500 billion euro. With Latvia joining the eurozone and becoming an ESM shareholder, Estonia’s share will not decrease nominally. 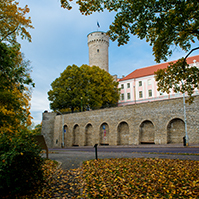 Estonia’s relative holding will decrease from 0.1860 per cent to 0.1855 per cent. A total of two countries have been granted financial stability support through the ESM in 2012 and 2013: Spain and Cyprus. “In Spain, bank recapitalisation was supported through a support loan to the state. 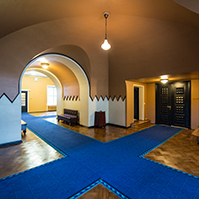 The programme ended in December 2013 and its final amount was 41.3 billion euro, the initial promise having amounted to up to 100 billion,“ Ligi said from the rostrum in the chamber of the Riigikogu. In the words of the minister of Finance, the aims of the programme had been fulfilled – the collapse of Spanish banking had been averted. “By today, the regulation and supervision of Spanish banking has been reformed to a significant degree, and the endangered banks have received restructuring aid. This has allowed also the banks who have not received assistance to improve their positions and to make their contribution to the beginning of the recovery of the economy. Both in banking and economy on a wider scale, restructuring activities will continue in 2014, and without the support of the ESM in the future,” the Minister said. In Ligi’s words, the support to Cyprus is wider-based, including bank recapitalisation, organisation of public finances and a support loan allowing to carry out structural reforms. “The ESM funds for this purpose amount to nine billion euro, of which 4.6 billion euro has already been paid to Cyprus. The progress of the Cyprus programme has been evaluated twice and, according to the evaluations, the state is fulfilling the goals set for it or even exceeding them. The effort must certainly be continued also in the future. Cyprus can hope for the support of the programme until the end of the first quarter of 2016,” Ligi said. Ligi said prospectively that a package of guidelines for direct bank recapitalisation is getting ripe for a decision. “This means that I will soon come to ask your consent to a new ESM instrument according to the Act on ratification,” Ligi said in the Riigikogu. In summary, the programmes financed within the framework of the ESM have served their purpose so far – Spain exited the programme and Cyprus is progressing well, at least initially. 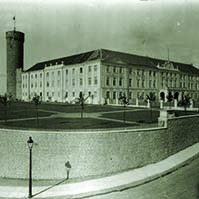 As the third item on the agenda, the Draft Resolution of the Riigikogu “Making a Proposal to the Government of the Republic” (544 OE), initiated by the Social Democratic Party Faction, failed to receive sufficient support at the first reading. At the voting, 20 members of the Riigikogu were in favour of the draft Resolution, eight were against and two abstained. Therefore the draft Resolution was dropped from the legislative proceeding.